You are here: Home / Was There Really A Census During the Time of Caesar Augustus? By all counts, Luke’s gospel is a wealth of historical information. Not only is Luke’s account orderly, but it is also an excellent record of what truly happened that no-so-silent night, two thousand years ago. One such event to which Luke draws attention is a government census which took place during the reign of Augustus before Christ was born. This event is a pivotal event in the Christmas story and is often looked at with skepticism by some. At the very beginning of Luke’s Christmas narrative in Luke 2:1-5 we are told that a census took place in the entire Roman world. The words are very familiar during Christmas as they are read aloud in so many sermons, plays, musicals and Christmas celebrations. And it came to pass in those days that a decree went out from Caesar Augustus that all the world should be registered. This census first took place while Quirinius was governing Syria. So all went to be registered, everyone to his own city. Joseph also went up from Galilee, out of the city of Nazareth into Judea, to the city of David, which is called Bethlehem, because he was of the house and lineage of David, to be registered, to Mary, his betrothed wife, who was with child (Luke 2:1-5). For many years, historians and scholars have pointed to the passage above mentioning the decree by Quirinius, as problematic if not completely inaccurate. Did a census really take place in the entire Roman world during that time, and did Mary & Joseph actually go up to Bethlehem to be registered, as Luke Gospel says? New Testament scholar Dr. Harold W. Hoehner has summarized some of the top challenges faced by those who hold to the historical accuracy of Luke’s account. At first glance, these objections to the Roman census during the reigns of emperor [Imperator] Caesar Augustus (Octavius) and governor [legatus] Quirinus may seem insurmountable and quite difficult to answer, but an honest appraisal of the historical and archaeological evidence suggests that they are not. The objections we will answer here are 1 and 2 – (1) the claim that nothing is known in the history of a general census during the time of Augustus, and (2) that in a Roman census Mary & Joseph would not have had to travel to Bethlehem to register. Was There Census During the Reign of Augustus in the Roman World? 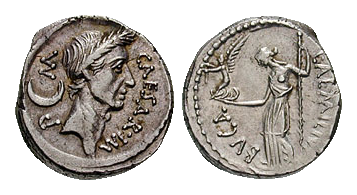 It is a commonly held assumption that the decree from Caesar Augustus that all the world was to be taxed, was a single census [a single event] in the entire Roman empire. The question is, is this how Luke understood it, or intended it to be understood? Very likely, not. Apart from Luke, we have two other historical sources concerning Quirinius – the Roman historian, Tacitus (Annals 3.48) and the Jewish/Roman historian, Flavius Josephus (Antiquities of the Jews 18.1-2). According to Tacitus (Annals 3.48), P. Sulpicius Quirinius died in A.D. 21. Josephus’s reference to Quirinius in Antiquities of the Jews (18, I,1.) poses somewhat of a problem, because he informs us that the “taxings conducted by Quirinius while governing Syria were made in the thirty-seventh year of Caesar’s victory over [Marc] Anthony at Actium in 31 B.C. This would place the census in about A.D. 6/7, a date which is too late to be brought into alignment with the birth of Christ which was likely in the winter 5/4 B.C. In Luke’s account in Luke 2:2, he speaks of a census which “first” took place when Quirinius was governing Syria, so it is not out of the question that the census to which Josephus is referring was the second one, while Luke mentions the “first” one [i.e the earlier one]. Gleason Archer also notes that Luke, “was therefore well aware of the second census, taken by Quirinius in A.D. 7, which Josephus alludes to… We know this because Luke (who lived much closer to the time that Josephus did) also quotes Gamaliel as alluding to the insurrection of Judas of Galilee “in the days of census taking” (Acts 5:37). Whatever the identity is of the Roman official mentioned in the inscription, at minimum shows that it was not uncommon for Roman procurators to have served twice, and maximally it may eventually reveal that it was Quirinius himself, through further research. Is it Plausible that Mary & Joseph Traveled to Bethlehem for the Census? Luke 2:4-5 states: And Joseph also went up from Galilee, from the town of Nazareth to Judea, to the city of David, which is called Bethlehem, because he was of the house and lineage of David, to be registered with Mary, his betrothed, who was with child. Objection 2 listed above states, that in a Roman census Joseph would have not had to travel to Bethlehem, but would have registered in the principle town of his residence, and Mary would not have had to register at all. 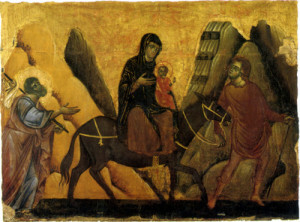 Since every person needed to appear in his ancestral homeland and since Mary was betrothed to Joseph, and pregnant with child, the two traveled to Bethlehem together. Surely Mary & Joseph would have understood the Scriptures, and the prophecies concerning Israel’s Messiah – that He must be born in Bethlehem (Micah 5:2). It must have been truly amazing from their perspective, to see pieces of the Messianic puzzle fall in place – even if the pieces were official decrees from the Roman empire! Once again, when Scripture is placed under the scrutiny of historical and archaeological research, it stands the test in amazing ways. This is but one small example of where archaeology and history corroborate the Scripture to the finest detail. Luke’s gospel is just the first part of a two-volume set in which Acts is the second. Colin Hemer’s massive study, The Book of Acts in the Setting of Hellenistic History details at least 84 facts in the last 16 chapters of Acts that have been confirmed by either historical or archeological research. Truly Luke is indeed a remarkable historian. Like Theophilus, we can know the certainty of the things in which we have been instructed (the Gospel of Jesus Christ). In Galatians 4:4 the Apostle Paul wrote: But when the fullness of time had come, God sent forth His Son, born of a woman, born under the law, to redeem those who were under the law, that we might receive the adoption as sons. When Jesus the Messiah arrived, His timing was perfect! From the appearing of the star to the wise men to the taking of the census by Rome, it was not too soon, and not too late. His first coming was not only perfect chronologically and historically, it was perfect in God’s providential time. If Christ’s first coming is any indication of what the Second coming will be like – we can rest assured that the timing of His Second Coming (Revelation 19:11-21) will be right on God’s perfect divine time, once again. William Ramsay, Saint Paul: The Traveler and Roman Citizen (Grand Rapids: Kregel Publications, 2001 reprint), 16. Harold W. Hoehner, Chronological Aspects of the Life of Christ (Grand Rapids: Zondervan Publishing House, 1977), 14. Jack Finegan, Light from the Ancient Past: The Archaeological Background of the Hebrew-Christian Religion, Volume II (Princeton: Princeton University Press, 1969), 258. See Finegan, Ibid., 259, See also Hoehner’s work on this date which goes into much more detail in the original sources; Chronological Aspects of the Life of Christ (Grand Rapids: Zondervan, 1977), especially Chapter 1, ‘The Date of Christ’s Birth,’ pp. 29-44. See, Jack Finegan, Handbook of Biblical Chronology: Principles of Time Reckoning in the Ancient World and Problems of Chronology in the Bible, Revised Edition (Peabody, MA: Hendrickson Publishers, 1998), p. 304. A view also held by William Ramsay, Bearing of Recent Discoveries on the Trustworthiness of the New Testament, 4th Ed., London, 1920, pp. 275-300.